Do not overlook our 4-Leaf Clover stress balls! 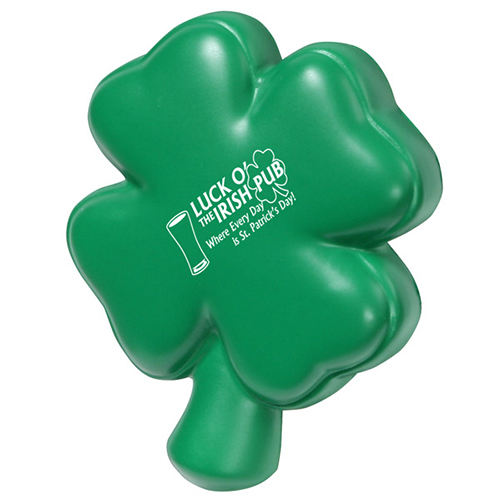 These 4-leaf clover stress relievers are fun promotions to hand out at parades, bars and trade shows. You can custom imprint a 4-leaf clover stress ball with a witty phrase or business message. These special stress balls may help to change your luck! Item Size : 2-3/4" x 3-3/8" x 1"